Mr. Privette has developed a diversified law practice and is capable of handling your legal needs. 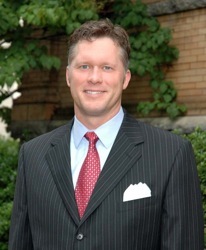 He is experienced in business and civil litigation, advising clients with respect to establishing business corporations, limited liability companies and partnerships as well as buying or selling a business, assisting clients with employment issues such as wrongful denial of benefits (unemployment, disability, or workers compensation), discrimination and sexual harassment. Mr. Privette represents individuals who have suffered the effects of personal or workplace injuries and represents clients zealously to ensure that they attain the compensation they deserve. He offers clients real estate services including but not limited to (commercial or residential) refinances, title opinions, preparation of documents for seller financing, like-kind exchanges, easements, deeds, restrictive covenants as well as assisting clients through the process of purchasing, selling or developing real estate. Mr. Privette can advise clients with sound estate planning and estate administration advice.